Thought Our Christmas Countdown Competition and our Antec Competition were the only opportunities to nab some free tech before Christmas? Think again. This time we've teamed up with SilverStone to offer our UK readers four chances to bag a SilverStone prize. As ever, all you have to do to be in with a chance of winning is email in the answer to the question at the bottom of the page, or enter via our Facebook page. But first, the prizes! The SilverStone Raven RV04B is a cracking ATX case specifically aimed at providing great air cooling. The SilverStone TD03 is one of the most stylish and effective all-in-one coolers on the market. Powerful and efficient, this 700W power supply will keep your system going through the cold winter. This petite case is the perfect start to a media PC build. What fans is SilverStone famous for? Simply email your answers to competition@bit-tech.net, putting "SilverStone competition" as the subject/title. For a second chance of winning head over to the Bit-Tech Facebook page. · This competition is open to all bit-tech readers in the UK. · Entries must be received by midday (GMT) 18th December 2013 to qualify. 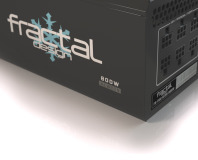 Win a fractal PSU in today's Christmas Countdown competition. 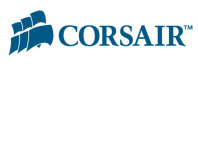 Win a bundle of Corsair goodies in our latest Christmas Countdown competition. 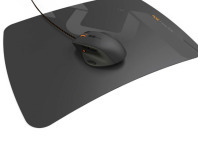 Grab yourself a mouse and mousemat courtesy of Func.